Designed for Presentations On the Go! 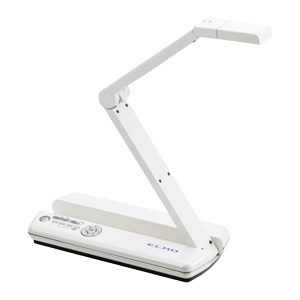 Visual presenter MO-1 is a completely new concept mobile document camera designed for instructions and presentations anywhere in or out of the classroom or office. Smaller than a business envelope, the MO-1 is one of the highest quality imaging mobile presenters on the market. Ideal for teachers teach in several locations and business travelers. It allows users to choose a color (white or matte black) that best suit their various teaching or business needs.